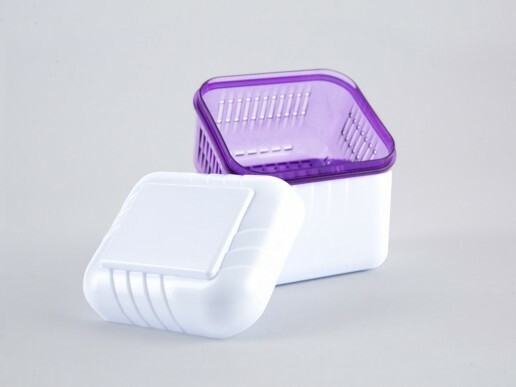 Denture & Retainer storage boxes - Lab Depot ltd.
Made of low density polyethylene, our denture storage boxes make an excellent container for patients with dentures or other dental work, such as an athletic mouthguard. 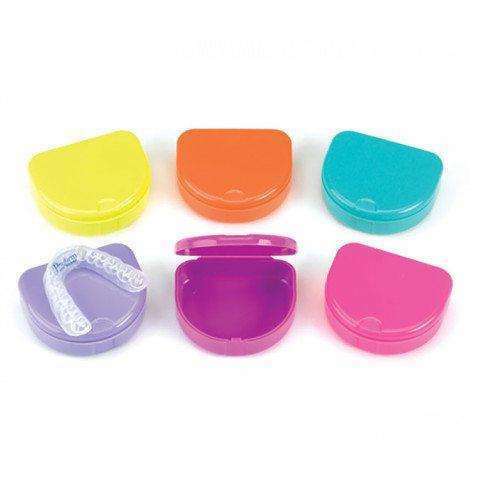 The boxes are 1 3/4-inches (44.4mm) deep, which is able to fit any size denture. 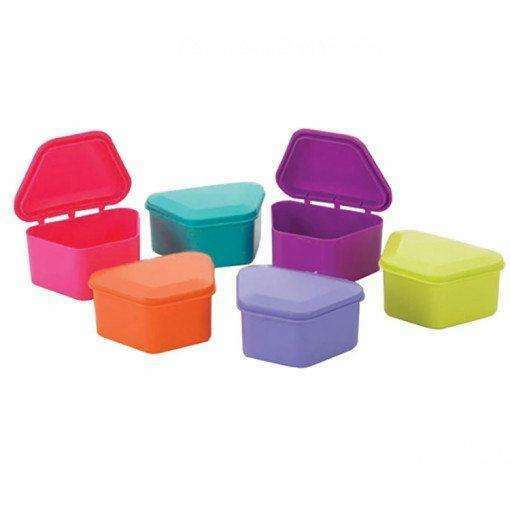 The box is strong, protective and lightweight. Ortho and dentures can accommodate 4 or 5 lines of text. We have a variety of print colors, although, we recommend gold or black. We also can accommodate various fonts. On a 1” (25.4 mm) in size box there is room for a name and phone number.